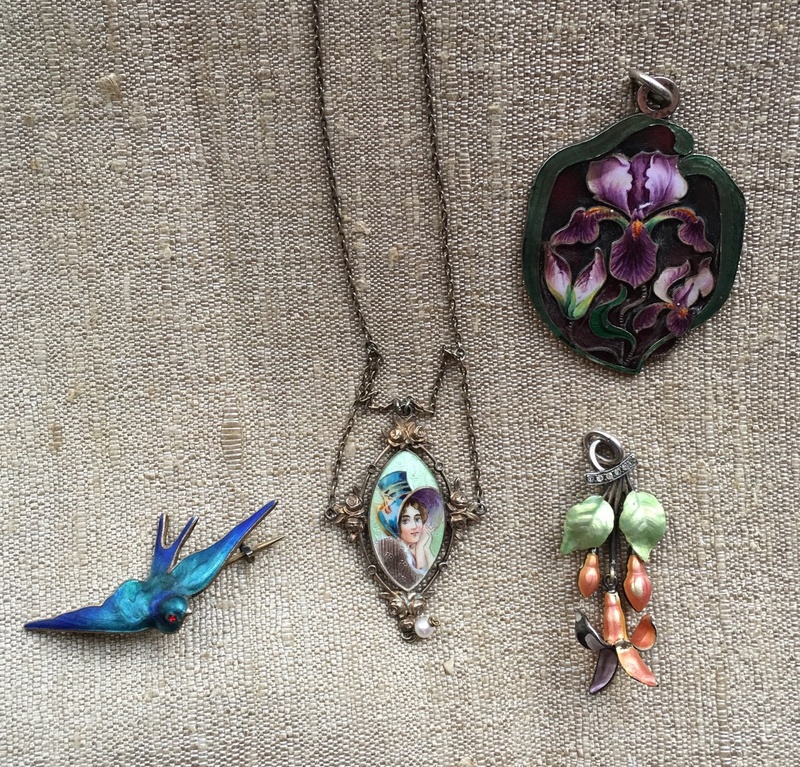 In Fine Jewelry > Art Nouveau Jewelry > Show & Tell and Fine Jewelry > Enamel Jewelry > Show & Tell. 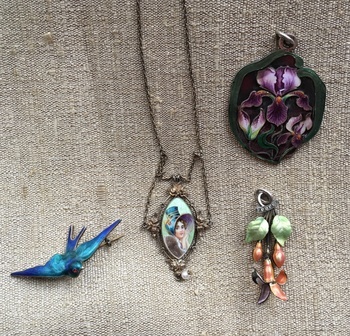 Here are a couple more of my enameled pieces. Two of them are signed as Meyle & Mayer, unfortunately some of the enamel is missing from the necklace :( The other two are mysteries, they look Meyle & Mayer to me but do not have the dragonfly mark. 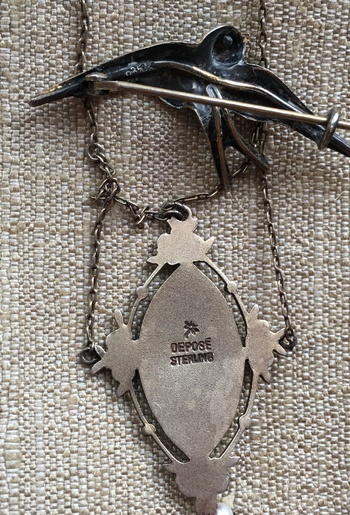 The plique a jour pendant is marked MM (unfortunately someone scratched the plique when they were trying to clean it). The enamel flower and paste pendant is marked 900. 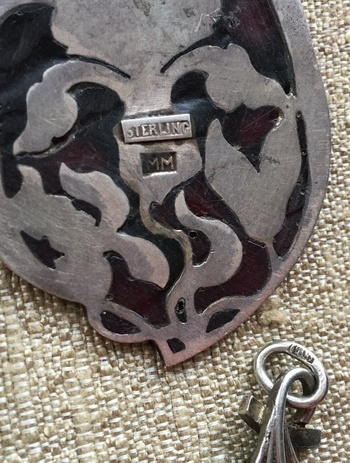 Any thoughts on whether they are also Meyle & Mayer or a different designer? Love them all, of course! For the fuschia flower, it does look like it is ... did you check everywhere for another mark? Thanks :) I did check everywhere, unfortunately there does not seem to be a dragonfly mark. 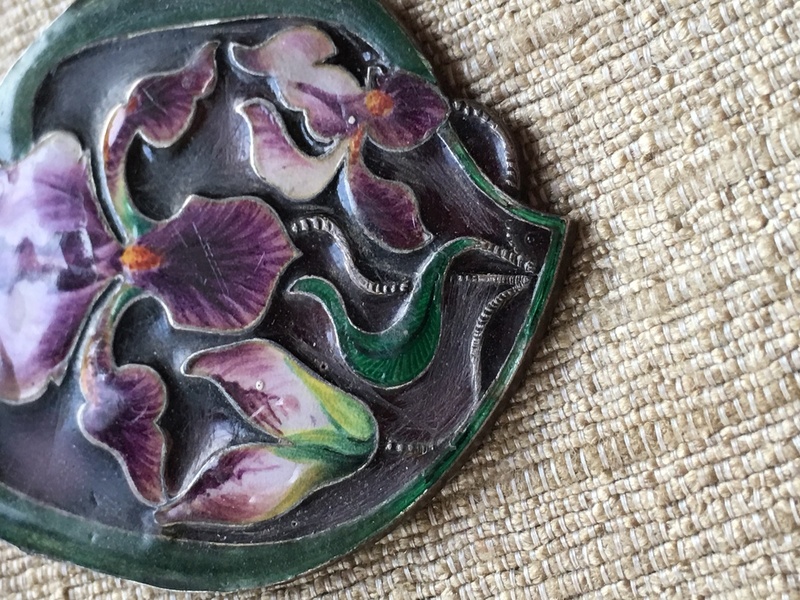 I have looked at your very well done enamel repairs, do you have any ideas on how/what to do with scratched plique? Or is it better to leave as is? Very beautiful, all of them! I hate when a piece in good condition is altered ! I love the Bird and the flower! Thanks for the lovely comment, Elisabethan!